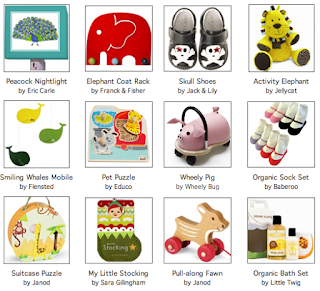 Hip Baby Blog: Gift Ideas for the newborn to 3 year old crowd. Gift Ideas for the newborn to 3 year old crowd. From now until Christmas we are going to post fabulous Gift Guides for the kid set. Why? Because we like to make it easy for you! Here's our first instalment: Holiday Gift Guides: Part 1: 0-3 years. And keep an eye out for our staff picks of their favourite gift choices; they've got their finger on the pulse of all things hip for the holidays.